I’m that wife/friend – you know the one who “watches” the game with you but never really knows what’s going on. I’m usually there more for moral support and not really for the love of the game. Ironically, I love to play sports and have always been really good at just about any sport that I’ve played growing up but I hate watching sports. I much rather be breaking a sweat on the fields than popping a blood vessel on my couch. Since I come on short on team moral, I make up for it with a wonderful spread for when the halftime munchies hits. I usually prepare a variety of dishes but I always keep it super simple because no one wants to spend too much time in the kitchen instead of with guests. 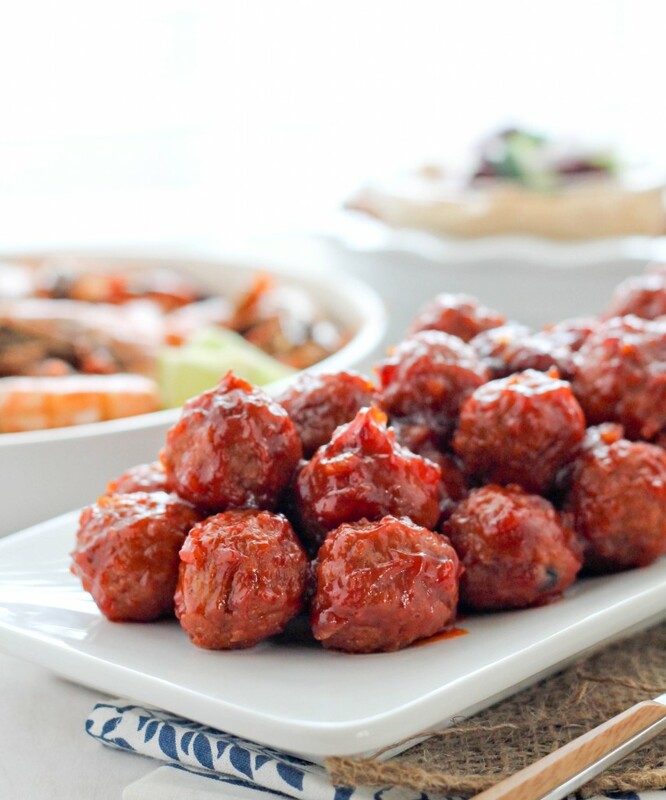 Farm Rich has a variety of wholesome products that help make preparing a spread for game day easy. 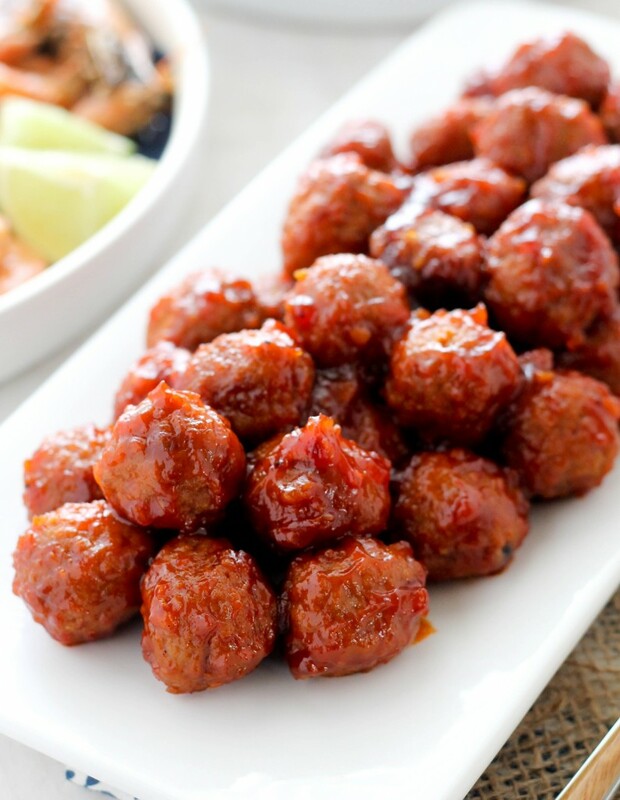 I picked up a pack of original meatballs and cooked it in a 4 ingredient honey garlic sauce – it doesn’t get any easier that! 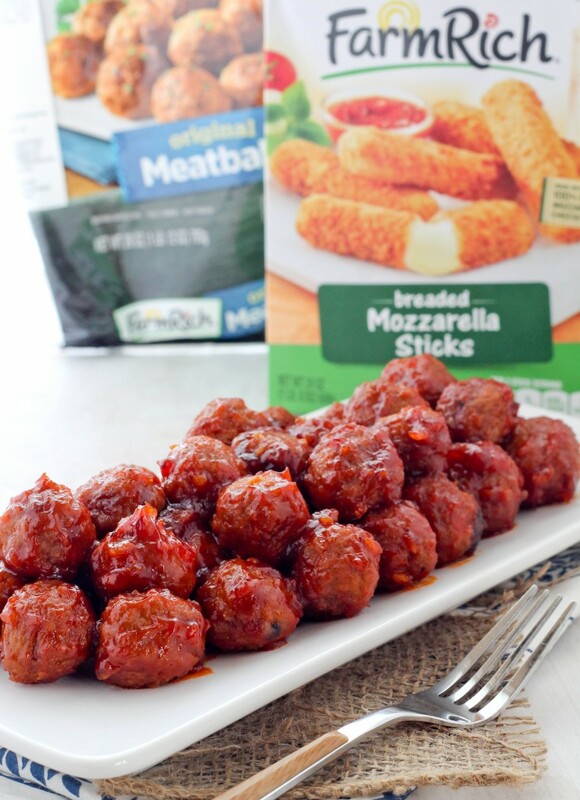 I grabbed a box of Farm Rich Mozzarella Sticks as well because that’s a favorite around here and I love that it can be ready in minutes and doesn’t require too much prep time. 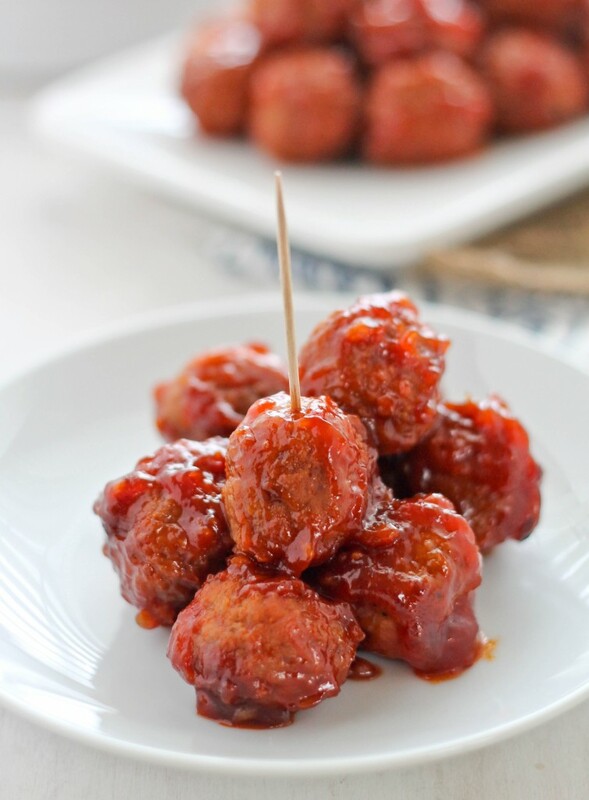 To make the Honey Garlic Meatballs, I made a simple sauce with ketchup, sweet chili sauce, honey and lots of garlic and allowed the meatballs to simmer for about 20 minutes; you can also add the meatballs to a Crockpot on low to keep it warm. These were a bit hit and it’s super simple and quick to make! 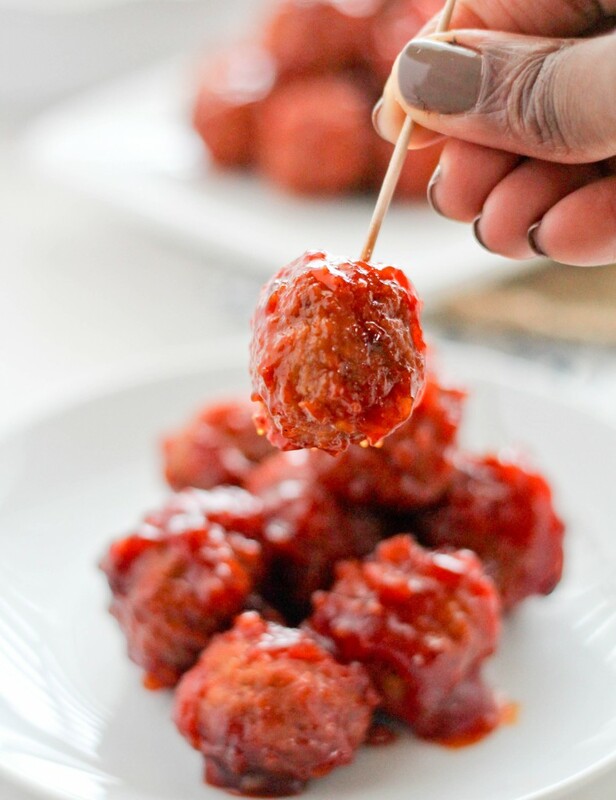 For more ideas on what to make for Game Day click here. Sign up for Farm Rich Loyalty Club to receive exclusive offers, food hacks, recipes and more by clicking here. **GIVEAWAY** Share your #HalftimeHero snack/app idea via Twitter, Facebook, Instagram or Pinterest using the hashtag (via photos or text), you’ll be entered for the chance to win year’s supply of Farm Rich snacks for all their game day needs. Add ketchup, sweet chili sauce, honey and crushed garlic to a wide saucepan and stir to combine. Add meatballs and stir until it’s coated. *Add to a Crockpot on low to keep warm. Be sure to add about a ¼ cup of water to prevent it for drying out.